Never circulated master, audience? soundboard? 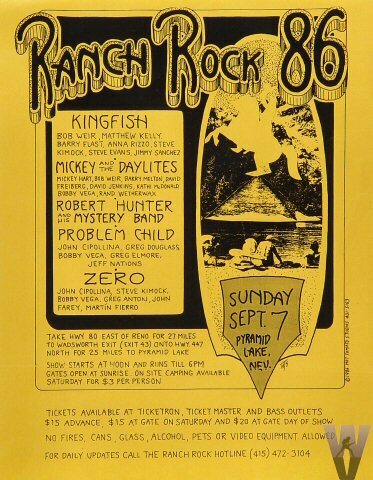 Cipollina also played with Mickey and The Twilights, Robert Hunter & The Mystery Band, Problem Child and Zero at this festival. "Complete soundboard. Almost never circulated in this complete form."